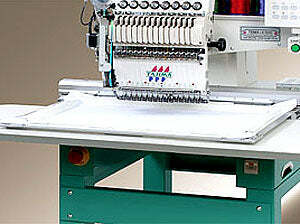 TWMX-C has large 550 x 595mm field, 12 needles, 1 head, 1200 spm, thread break detection, arm and cylinder bed. 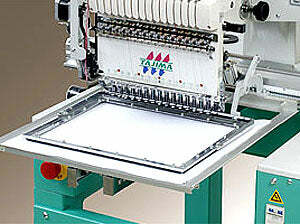 Tajima TWMX-C 1201 12-Needle Single Head Large Field Embroidery Machine. 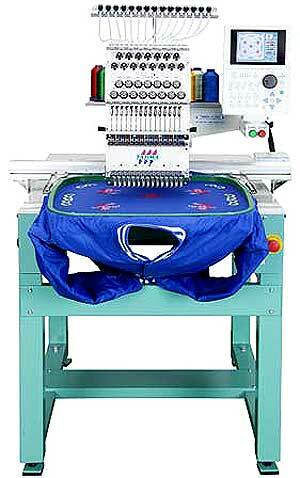 For applications that require a larger embroidery fieldsuch as Varsity Jackets, Sports Jerseys, etc. The widetype is also capable of embroidery on traditional itemslike Caps, T-Shirts, Pockets and Bags. 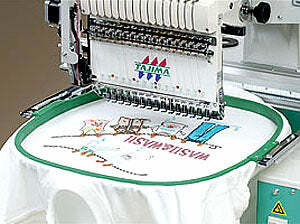 Suitable for embroidery on tubular products such as T-shirts, sweatshirts or uniforms. Select from many sizes to fit your products. 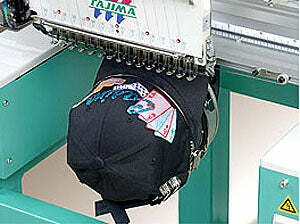 A wide cap frame for embroidery on finished caps. No matter what type of cap, embroider to a maximum length of 360 mm on the circumference of the cap (Adult size). Attach or detach caps on the cap frame with easyone-touch operation. 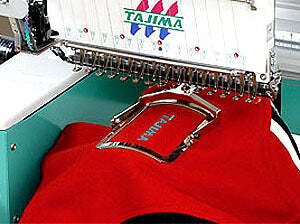 From fabric to finished goods, embroider a wide variety of goods with out changing frames. An embroidery frame to apply embroidery to small pockets. This frame is available in two sizes. Use this frame for standard embroidery such as patches and appliqué. When using a border frame a special table is also necessary. Ternary scale: 0.1 - 12.1mm. Binary scale: 0.1 - 12.7mm. Single-phase: 100 - 120V, 200 - 240V.